And Will Merge Subscribers With DRUM! Enter Music Publishing, Inc. today announced that TRAPS magazine is merging with its sister publication, DRUM! TRAPS, published quarterly since 2007, has been widely hailed for its innovative editorial content, including book-length interviews, top writers and photographers, annotated transcriptions and a focus on jazz and rock drumming history. It will suspend publishing immediately. Current subscribers will receive DRUM! magazine subscriptions and be invited to join an upcoming TRAPS web community. According to publisher Phil Hood, "In this recession it is imperative for us to focus our efforts our flagship product, DRUM! magazine. TRAPS is incredibly popular with its readership, but the downturn, particularly in advertising, makes it impossible for TRAPS to reach its goals in the near term. We are not immune to the forces impacting our advertisers and other publishers." TRAPS launched a test issue, featuring drumming great Max Roach on the cover in 2006. It published three issues in 2007, four in 2008 and one in 2009. Other cover stories featured John Bonham, Jack DeJohnette, Roy Haynes, Terry Bozzio, Lenny White, Jeff "Tain" Watts, and Steve Gadd. 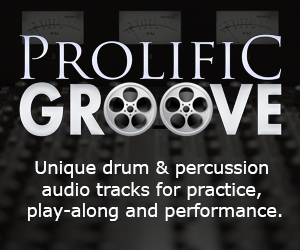 "We learned a tremendous amount from the TRAPS experience," says editor Andy Doerschuk, "and we want to incorporate some of that TRAPS approach in DRUM! as we go forward." 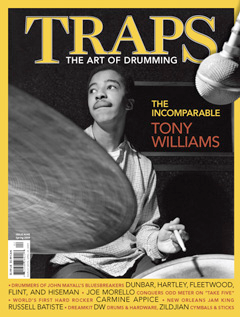 The final issue of TRAPS, featuring Tony Williams, remains on sale until March.